I concluded the first phase of my season with Ironman 70.3 Eagleman (June 12) and Ironman 70.3 Mont Tremblant (June 26). I successfully defended my title at Eagleman while Mont Tremblant proved to be a more humbling experience. Ironman 70.3 Eagleman – Repeat Win! Following Ironman 70.3 St. George, the lead up to Eagleman featured five weeks of my best and most consistent training. The training itself not only went smoothly, but my attitude and focus were better than ever. It was a relief to rediscover some ease and enjoyment in the grind after struggling earlier this spring. As I remarked in my St. George recap, I find that there’s a natural ebb and flow to my relationship with triathlon, from fitness, to focus, to passion. I’ve come to accept that, rather than fight it. Leading into Eagleman, I felt as if I were riding a wave. I had far too much momentum to get hung up on any impediment, too much momentum to fall short. Racing as the defending champion in bib #1 and as the pre-race favourite for the first time at an Ironman 70.3 carried some unique rewards and challenges. I could sense a subtle shift in how everyone at the race interacted with me, fans, organizers and fellow pros alike. At the risk of revealing a latent egomaniacal streak, I’ll admit that it was kind of intoxicating! Of course, there was also pressure, both external and self-imposed. Rather than being intimidated by the pressure, I consciously embraced it and used it to hone my focus. It was certainly a thrill to win at Eagleman again, though it lacked the unexpected elation of the previous year. This time, the victory was tinged with relief. Last year, my win had a surreal quality; it was too much to take in all at once. But this year, I savored every facet of the experience, from my exceptional homestay, to my first pro panel, to taking the lead on the bike, to breaking the tape. I spent the long drive home reflecting on how grateful I am to call this my career. I also put together a video showing one of my hardest run training days, about 10 days out from Eagleman. Twice during this block, I did a sequence of three run workouts totalling 48 km (30 mi) in 24 hours, in addition to a 5,000m swim. 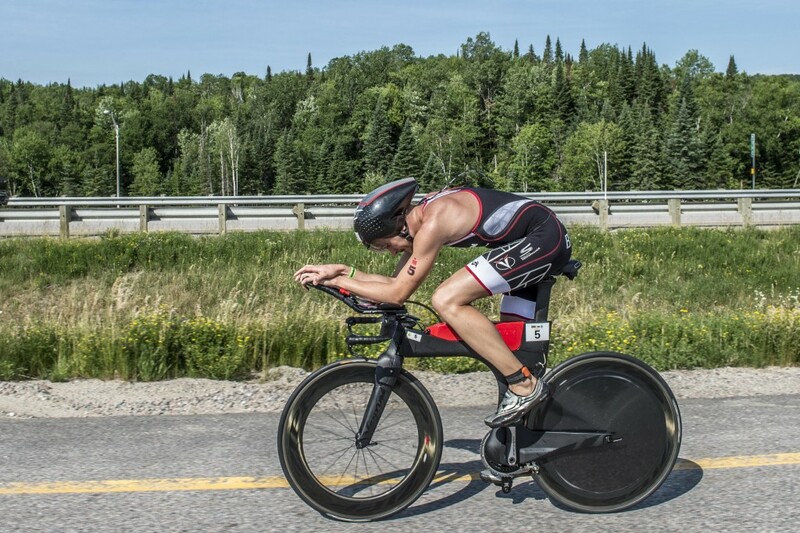 Last year, Eagleman and Mont Tremblant were separated by only one week. I struggled to recover and refocus in time and faded to a disappointing 6th. This year, benefiting from an extra week of recovery, I had even higher hopes and my sights set on the podium. But once again, I was humbled by this challenging course and high caliber competition. Despite a somewhat unsatisfying result, it was a pleasure to return to this premier event. After five 70.3 races in four countries since late March, I crossed the finish line more than ready for a good mid-season break.